The event will take place in 1 March 2017 at 16.00. 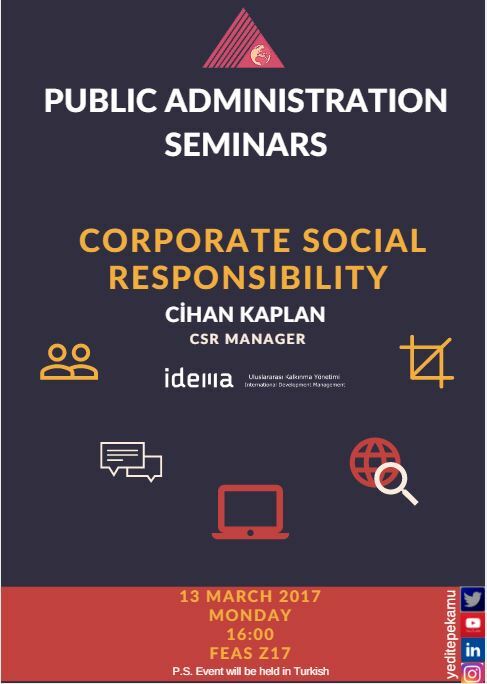 He will be sharing his experiences on Corporate Social Responsibility (CSR) Situation Analysis and how to maintain implementations of CSR in a corporation. Additionally, Mr. Kaplan is going to explain the relationship between CSR Strategies and its operational fields such as philantropic activity, volunteerism, donation and project sponsorship. If you are eager to learn more about CSR Strategies and CSR Project Development and Management, we kindly invite you all to our event in FEAS Z-17.